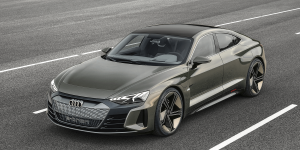 By then the Audi e-tron GT will be the sportiest member of the family and with a decidedly electric heart. 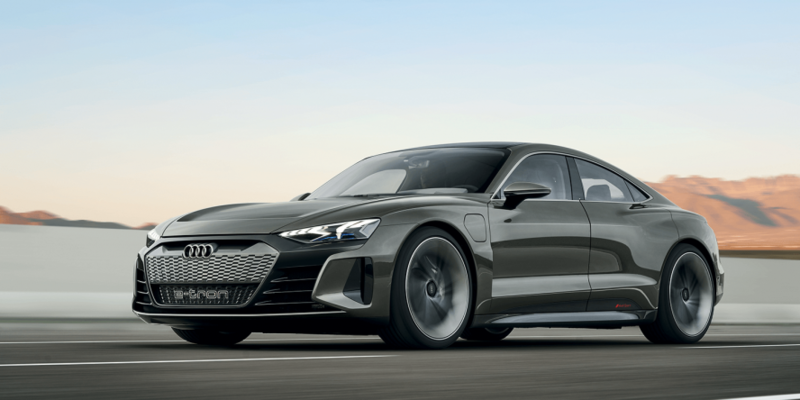 Different from the original Audi e-tron SUV and the e-tron Sportback, the e-tron GT presented at the LA Auto Show has a flat-floor architecture that provides for a low centre of gravity and new proportions fit for a sports car – and a sustainable one, says Audi. But first for the real drive, a 434 kW electric motor that delivers the power via the Audi quattro permanent AWD with torque vectoring. 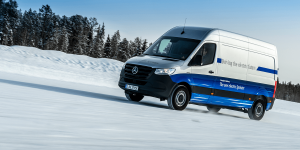 This means separate electric motors are fitted to the front and rear axles. 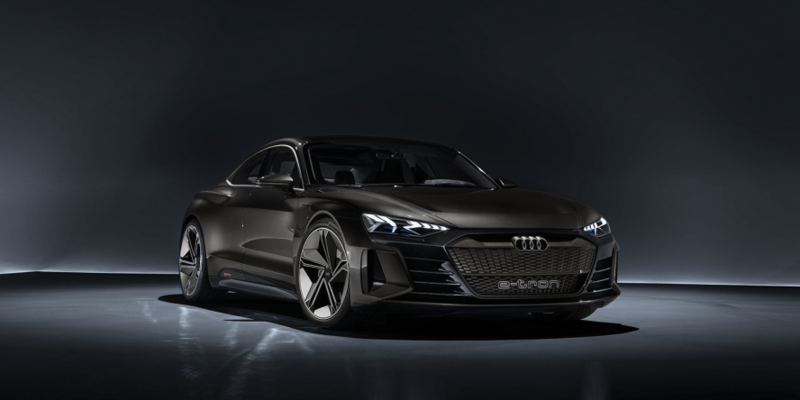 While still a concept, the drive of the e-tron GT is to make it into the series helped along by the performance subsidiary Audi Sport GmbH. 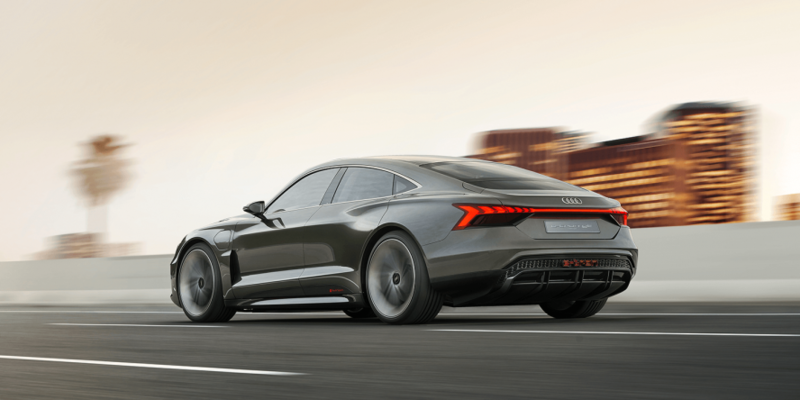 Only the series e-tron GT will have its speed capped at 240 kph, for the sake of range. 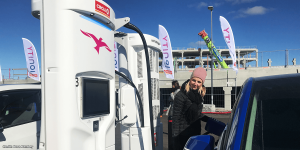 The latter is delivered by a Li-ion battery that takes over the entire underfloor – think low centre of gravity again – and holds more than 90 kWh. Enough for a range of 400 km (248.5 m), according to WLTP. 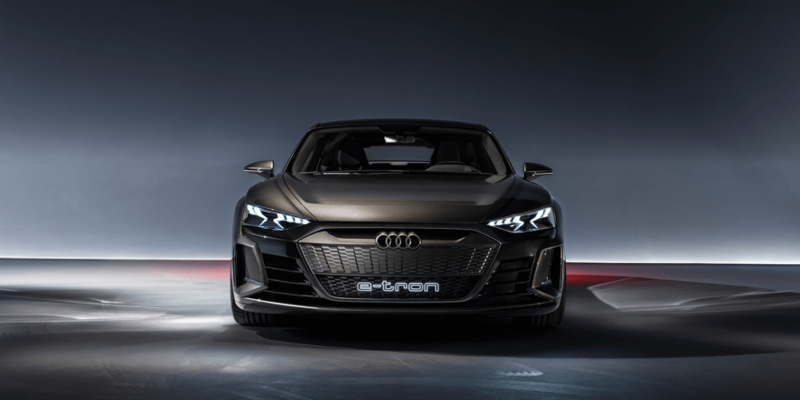 In addition, the e-tron GT recuperates and so much so, Audi claims it can increase the range by up to 30 percent. 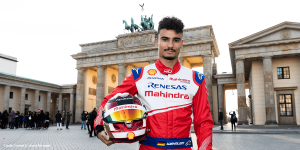 The concept regains energy by braking mostly by using the electric motors and thus covers 90% of all decelerations. 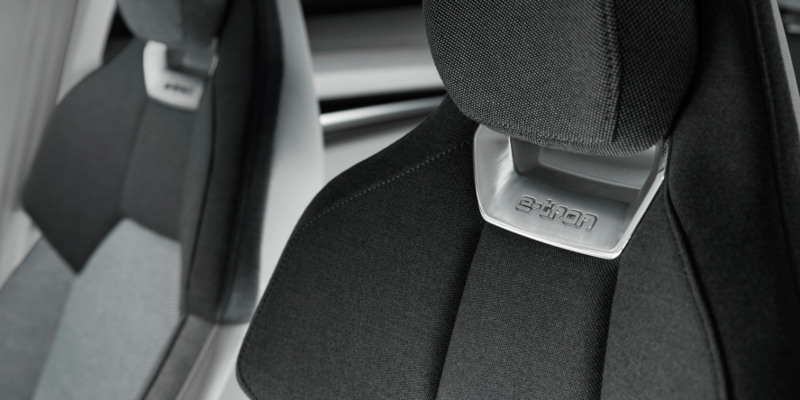 As a result, energy is fed back to the battery practically every time when braking. 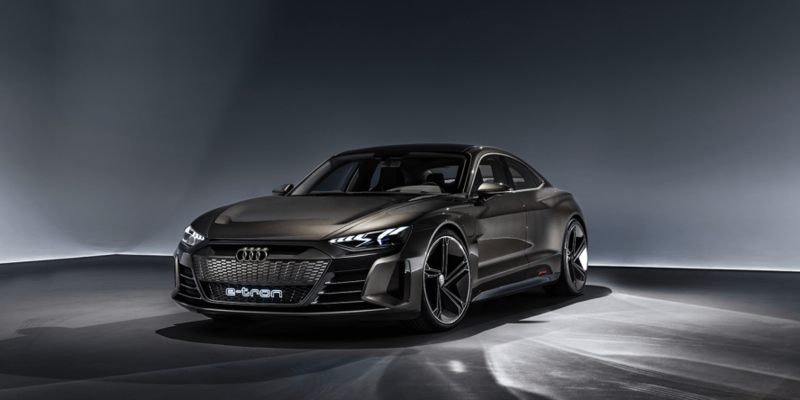 Apart from such range gains, Audi has prepared the e-tron GT with ultra-fast charging capability. 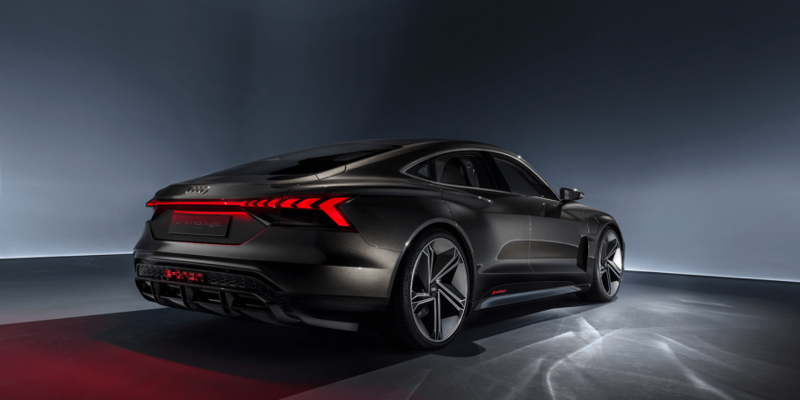 The electric coupé is fitted with an 800-volt system, a benchmark Porsche had first introduced and indeed, Audi say the technology in the e-tron GT has been developed together with VW’s most premium brand. 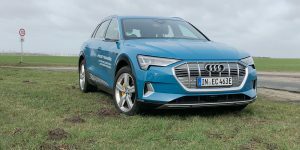 The Audi e-tron GT takes around 20 minutes to recharge the battery to 80 percent, at least at high power charging stations. However, the e-tron GT concept can also take lower voltages, when home charging for example. 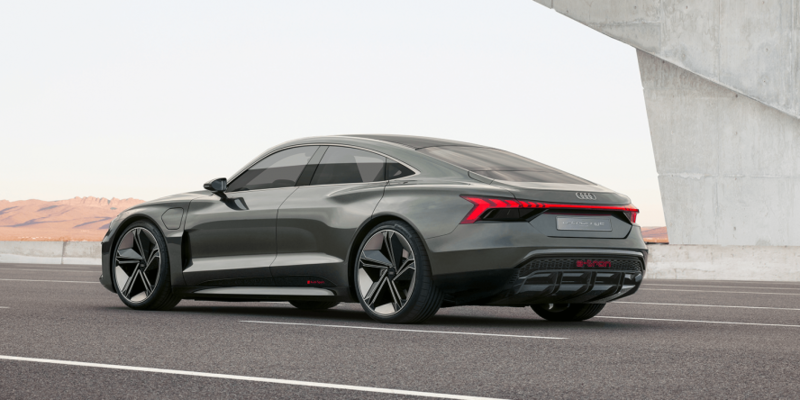 On top, Audi imagines Audi Wireless Charging with an output of 11 kW, enough to recharge the battery overnight. 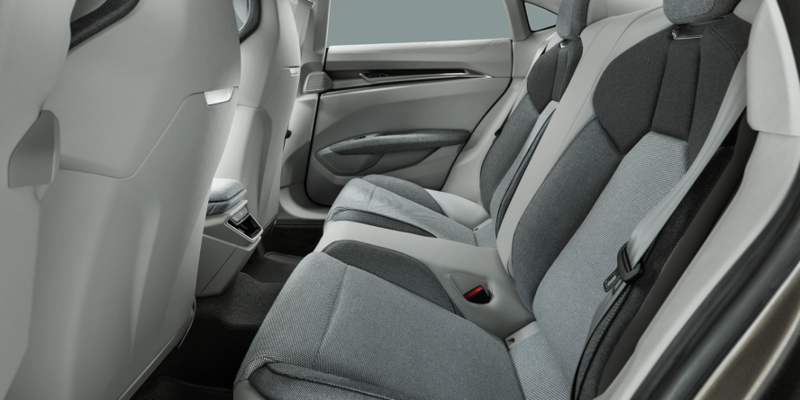 A word on the interior: the Audi e-tron GT has been designed as a dedicated electric car, much like BMW did with their i3 in 2013. In a similar eco-conscious fashion Audi selected the material carefully and claims the e-tron GT has a “vegan interior” with no animal-based products. Instead they used synthetic leather and fabrics from recycled fibres such as used fishing nets. 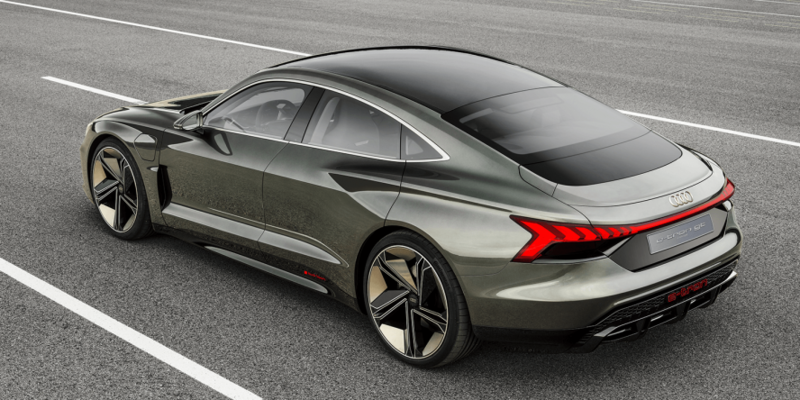 The concept e-tron GT will be transformed into volume-production models by the end of 2020. 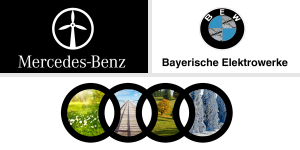 Initial deliveries will be made to customers in early 2021.